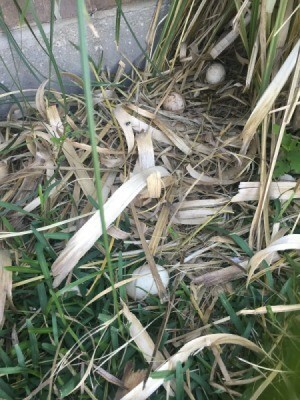 I had several duck eggs laid about two weeks ago, 12 in total. I noticed two days ago one egg was out of the nest about two feet away. Today 4 more seemingly were kicked out again all about two feet away. One of the eggs the very top was broken off and looked to have some egg yolk left but not much else. I see ducks over there every day. Are these eggs not good or what could have happened? If the ducks are not sitting on the eggs and/or they have rolled away from the nest, and are cold for even a short time (only a few hours), then the babies are dead.